In it's 4th year, the meeting brings together approximately 300 supplier representatives from all Toyota production facilities in North America. 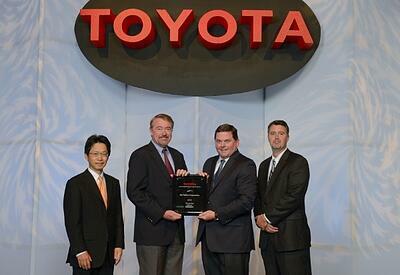 It also allows Toyota to communicate business objectives and highlight key Supplier Expectations. Since 1948, ORR Safety's business focus has been to provide industrial safety, occupational health, industrial hygiene, and fire-related products and services for companies large and small. Today, ORR Safety is one of the nation’s largest privately held safety distributors and represents hundreds of leading manufacturers to offer products for any application. ORR Safety is proud to be recognized as a high performing Supplier Partner in both categories.